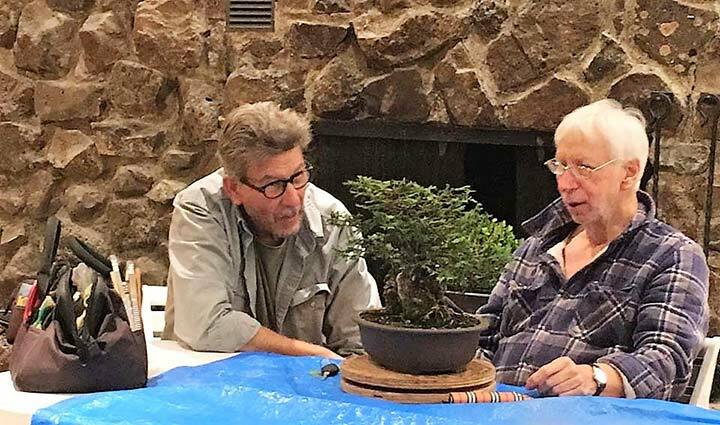 The Marin Bonsai Club conducted its BYOB (bring your own bonsai) workshop on September 19, 2017, at the Livermore Room at Marin Art and Garden Center (MAGC), Ross, California. 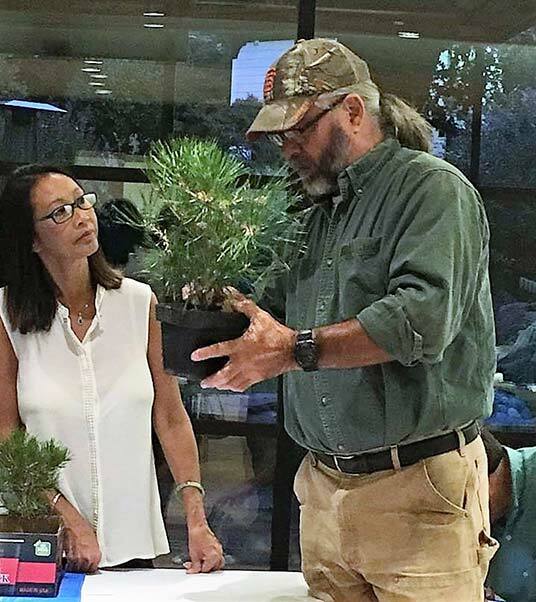 This workshop was a great showing of members and their bonsai. Junipers were the work of the evening for the most part. There were other species worked on, such as the Japanese black pine and coast redwood. 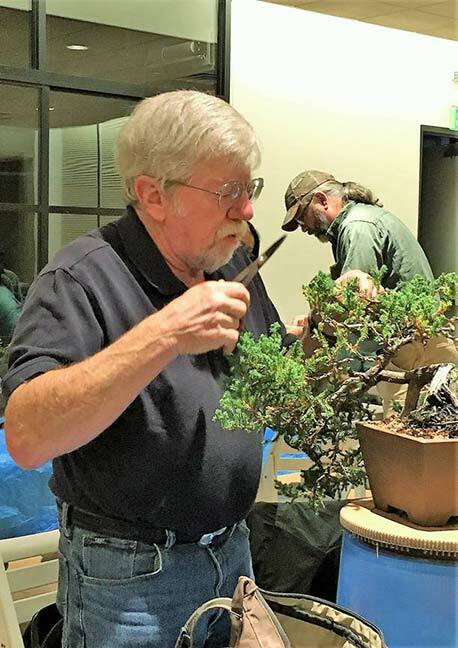 The preceding general meeting and demonstration on September 5 featured Bonsai Artist and Instructor Peter Tea. At that time, Peter provided instructional information regarding junipers; the pruning, thinning, styling, and care. 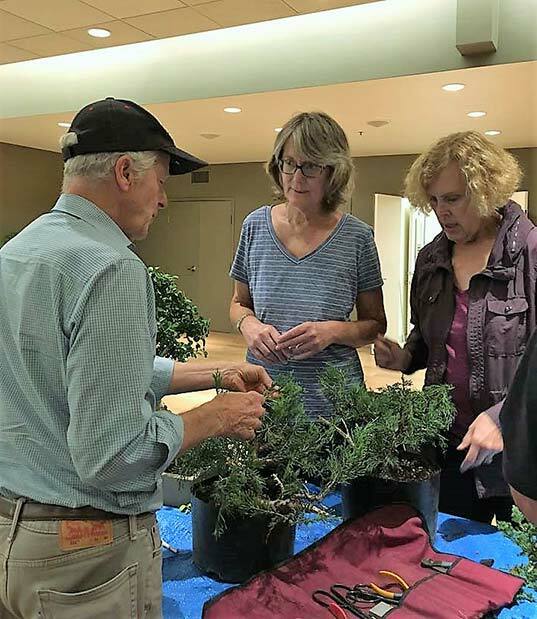 This follow-on workshop allowed members to perform hands-on practice regarding Peter’s instructions on their own junipers. 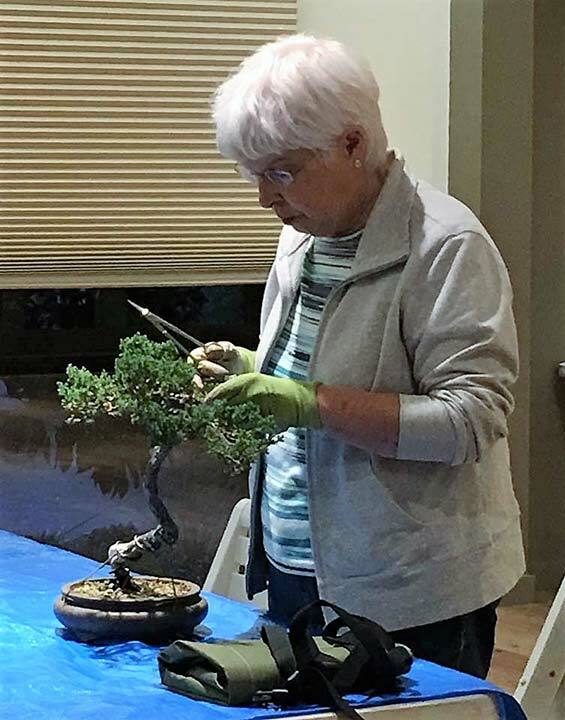 These photographs, courtesy of Candace Key, depict members working on their bonsai. 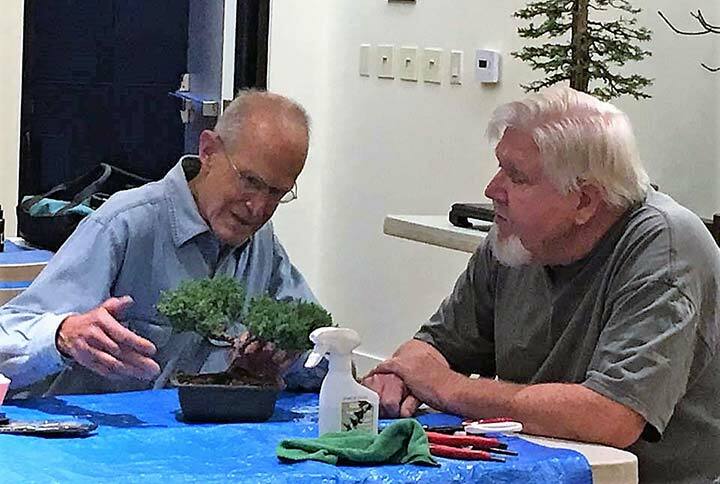 Marin Bonsai Club workshops are held every third Tuesday from 7-9pm on a RSVP basis. The club uses the RSVP in order to determine if enough members are interested in attending the workshop, at which time a MAGC room is rented for the evening. The workshop is free to members and $20 for non-members. Everyone is expected to bring their own bonsai, tools, wire, etc., necessary to the work to be performed during the workshop. The club provides aluminum wire. Senior members and instructors are present to teach and assist in bonsai basics. The workshops are intended to provide seasonal work and follow-on instructional guidance from the preceding general meeting and demonstration. This entry was posted in Workshop Recap. Bookmark the permalink.